Hi everyone! 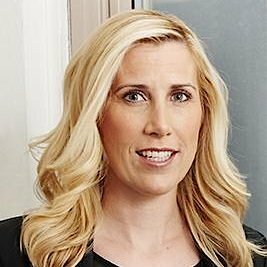 Today’s interview is with Meagen Eisenberg, CMO at MongoDB, an open source, document-oriented database that lets you create applications never before possible. She’s also the former VP of demand generation at DocuSign, a tech startup advisor, and an executive mom of three. Today we’ll be talking about what exactly MongoDB does (and how most of the apps on your phone are built on MongoDB), the different channels they use to acquire new customers, and how to create a simple persona. Meagen’s undergrad was technical MIS with computer science but she quickly figured out that if she wanted to grow in her career and manage a team she’d need to get an MBA. So after she got her MBA at Yale she switched to marketing to tech companies. She made her way to MongoDB with an expertise in marketing technologies and scaling companies really quickly. MongoDB is the fastest growing open source modern database and there are over half a million apps built on top of MongoDB. You know those everyday apps that you’re using on your phone? At the core, the database is MongoDB. With all the buzz around big data and the amount of information out there to capture it, traditional databases just can’t keep up, so a lot of modern apps that need to access a lot of data are built on MongoDB—like Tinder, Grinder, FourSquare, Dropbox, United, and Charles Schwabb. MongoDB has over 10 million downloads, so quite a lot of folks are using and building on the open source product. They have over 2,100 paying customers that are using their enterprise solution, and there are even more on their cloud product to monitor their MongoDB instance. A lot of people who add on AWS and Azure are using their product Cloud Manager to monitor their instance. MongoDB has a lot of educational resources to train developers on the product, so they have a lot of people coming in through their university channel. They released an app this year where you can take training on your iPad or phone—so that’s another great channel for them. Their web properties mongodb.org or mongodb.com are also very viable channels—people will come in to watch webinars or read white papers on what NoSQL is—and there are also a lot of people who find them via Twitter, Facebook, and LinkedIn. They have a lot of people coming into their funnel who they talk to and engage with, and then of course they have a sales team that works with the customers on their needs. For people coming in through their website, they may have, for example, signed up for a trial for Cloud Manager, so Meagen’s team will nurture them and educate them on how to use the product, any information they might need, and how to get help. Same thing if you sign up for a webinar or download a white paper. They have a lot of different nurture programs based on your persona, so whether you’re a developer or an IT architect or DB ops, or even C level, they’re sending you content that would be relevant to your role to make a decision on buying their security solutions or monitoring BI tools, etc. They use Eloqua as their marketing automation platform which is hooked into SalesForce. This allows them to collect just the right amount of information so they know your title, size of business, what type of information you’re looking to digest, etc. It’s an automated communication system, or air traffic control system, based on your actions to make sure you’re getting the information you need to make a good decision. Over the past 10 months they’ve built out over 25 different nurture programs and those are worldwide so some of them are localized. They’re based on your persona: whether you’re on a trial cloud manager, if you’ve downloaded an enterprise product, if you have interest in some of their other solutions. Or based on whether you’re new and just learning about MongoDB or you’ve already built an app on MongoDB on open source and now you’re ready to transition to other products. Meagen thinks primary research is the best thing you can do. If you can’t access your customers and talk to them and understand their interests and where they digest info and why they bought your product, then she recommends talking with your sales team. Your sales team are the people having conversations with prospects and customers every day, understanding what kind of questions they get and the content they have and use or would like to have. So that helps build out the persona. And obviously you should be looking at the people on your website: who’s downloading or doing different things there. If you’re collecting title and activity information, which you should be, you can get a pretty good picture of interests from that. DocuSign was unique in that it served multiple ends in the market: it had B2C—they had a premium offering, people who had to sign every day things like they bought a house or rented an apartment—all the way up to enterprises like SalesForce and HP that are doing procurement contract sales contracts. So when you’re trying to go to market and you have to target consumers from small medium businesses all the way up to enterprise, that’s a really complex go-to-market. It’s similar in open source companies like MongoDB in that they need to make sure they’re serving their developers—which are their B2C, their consumers of an awesome product that’s serving their need to develop something—all the way up to enterprises that are running multiple databases that need to manage these instances because they’re mission critical. Serving developers all the way up to enterprises is an interesting go-to-market, so DocuSign and MongoDB are very similar in that way. And that means they have all these different personae and use cases that they need to serve, so they want to message the exact use case that you’re interested in and to the exact persona that you are. At DocuSign they didn’t target developers or the IT community as much. IT was mostly sales contracts, sales use case, HR procurement. MongoDB is more focused on a technical audience, developers, IT management, CIOs. It depends on which model you’re buying. If you go to their cloud products or their SaaS product, it’s per server. They also have backup and storage options. That was similar at DocuSign—you could sign up without ever talking to sales and configure your project—all the way up to enterprise where you may have multiple servers, where it’s thousands of dollars per server, because you’re buying the license for MongoDB, the commercial license, adding security features, encryption, memory storage, a compass tool, etc. It’s important to constantly keep up on technology, so she tries to take at least one meeting a week with a vendor to learn about new technology. Twice a week she meets with a peer to learn what they’re using, what’s working, what’s not working. She mentors people and is always asking them questions. So while she might not be as tactical now that she’s CMO as she used to be, she still tries to keep in the loop, specifically with regards to marketing technology. There’s definitely a lot of trends around video and customer marketing. In the early stage they focused on getting net new logos (i.e. new customers), but as you grow as a business, a bird in the hand is easier than getting a new one in the field, so you must make sure you are focused on your customers because they will expand their use and their use case with you. So Meagen definitely sees a lot of trends around customer marketing. Social proof is so important, which is also part of customer marketing—making sure you’re growing your advocates and giving them a platform to tell your story as well as giving them tools so they can evangelize. The web is a big channel, so they do everything they can to optimize conversions and educate people through their web properties. Their university is another web property that works really well for them because people are learning about the product. As for social, they’ve got over 200,000 followers and they’re very engaged, they’re talking back and forth with them, and they use Sprinklr to keep on top of it. They track sentiment and make sure to respond as much as they can, which can be hard because they get 50,000-60,000 mentions a month. They’ve done some retargeting and have found that Facebook is where they see a lot of response where people are entering the funnel after they retarget them to that channel. She loves LinkedIn and they certainly run stuff with targeted ads like Bizo which is more expensive than Facebook or Twitter, but there are good targets on LinkedIn and their sales team is very active there. Let’s say people go to a certain page on their website, maybe Python development; they will post an ad for a course on Python. Or if they’re reading about what NoSQL is, they may promote a webinar or a white paper to them on NoSQL. So it depends on their interests. And they do a lot of work on inbound marketing once people come in to make sure they’re giving them a lot of material to educate them. They have a really good following for MongoDB and they released a new product called MongoDB Compass. Usually product webinars do not pull a lot of people, but they had over 3,000 people registered (and a 30% attendance rate). That was exciting to see the interest around it. And they’d get signups from all over: they posted on their website, promoted through email marketing, to their database, target people who are interested in certain lists or groups. Meagen was impressed because at DocuSign they would host a thought leadership webinar once or twice a year where they’d have a semi-famous person speaking on it, and if they were lucky they would get 1,000 people and thought that was great. It’s always budget. When you’ve got a limited budget, it’s making sure you’re using it effectively, managing the budget the best you can. It’s about having small budgets but being smart so that you know what’s working and what’s not right away so you can get the most out of it. And if you can show what the levers are you have to pull to actually deliver more, you certainly earn the right to that budget. But you’ve got to be able to show what you contributed to it. She would say: network. Always take the opportunity to build and bond with your team. It’s a small world, so people you’ve worked with in the past, you’ll continue to work with them in the future. And as you become more senior, your success is really based on the team you’re working with, so the network is really important. Some of the relationships that have helped her career the most had been formed in her 20s. And by networking, she means building meaningful relationships (not just going to events and handing your card out). The people you network with today, you will rely on them and do business with them in the future. It varies, but typically the night before will look at the next day to prepare for it. She uses an app called Accompany, which allows her to look at peoples’ backgrounds so she can prep for meetings. She also blocks out time to do things she needs to do, whether that’s catch up email or write content. She usually has lots of meetings and lots of talking with people and meeting with team, one on one and in groups. Accompany – blends social and business networks, keeps her up on relevant stories, tweets, trends out there, gives her press briefing on people she’s meeting with.